Females/Males born 2016 & 2017! The program teaches toddlers the ABC's of physical literacy and prepares them for active lifestyles in the future. This program will incorporate physical skills from multiple sports, while keeping participants social and active. 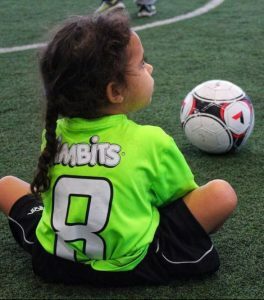 Sessions will be led by Active Start trained coaches, but a parent or caregiver is required on field with each participant to offer a level of comfort. **This program is a physical literacy program to help develop movement and cognitive skills used in all sports.